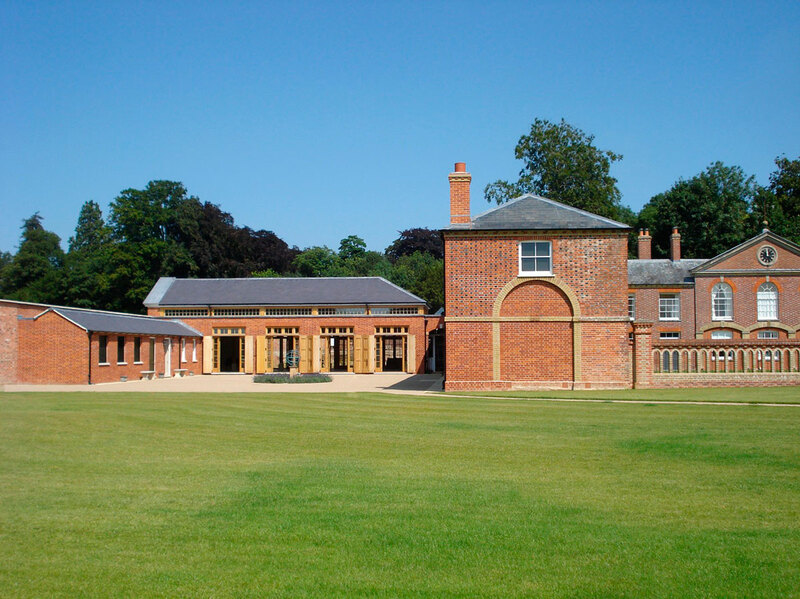 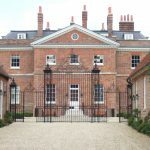 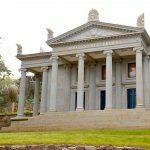 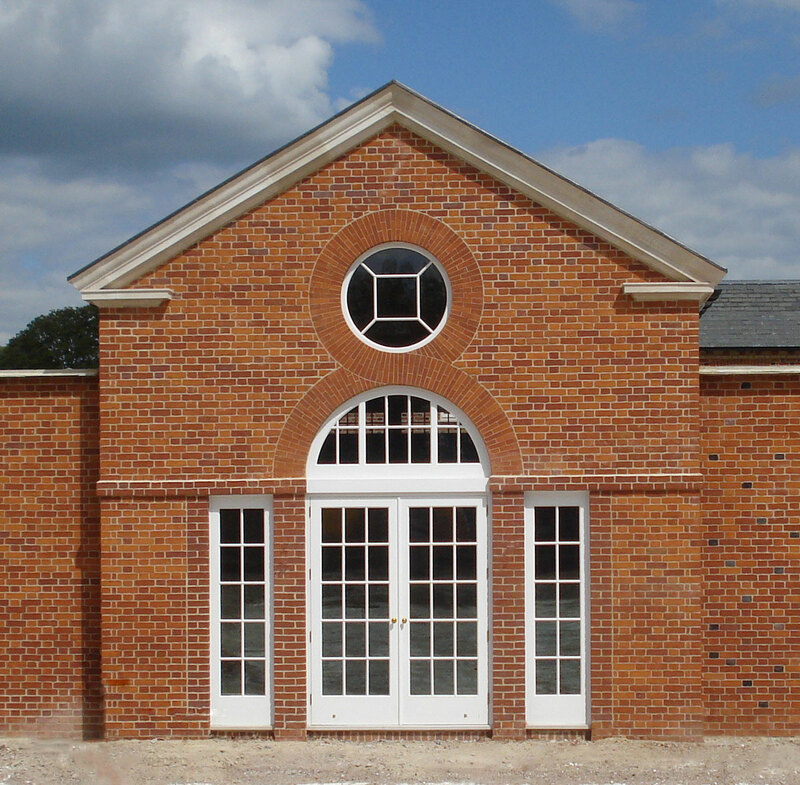 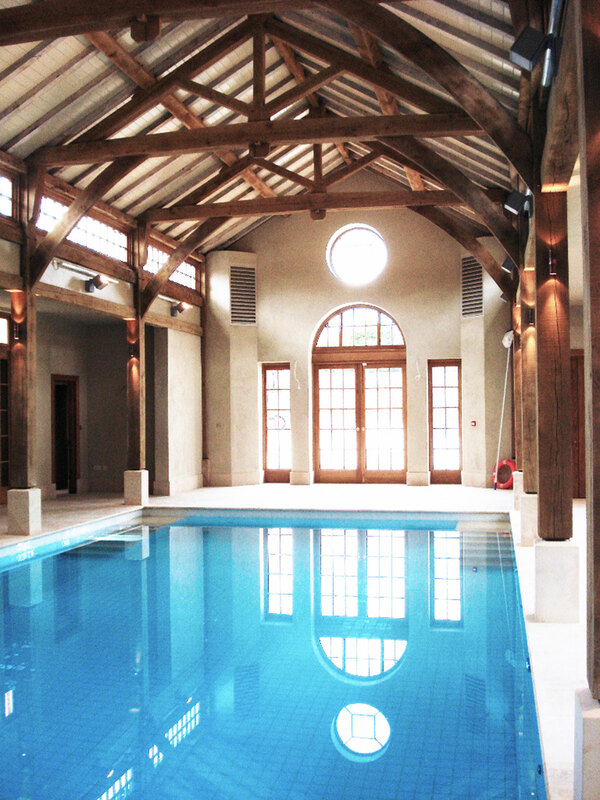 At a Hampshire country house estate, as the final phase of refurbishment works to a Listed 18th century stable block, we were commissioned by the family to add a new indoor pool and a separate barn for parties. 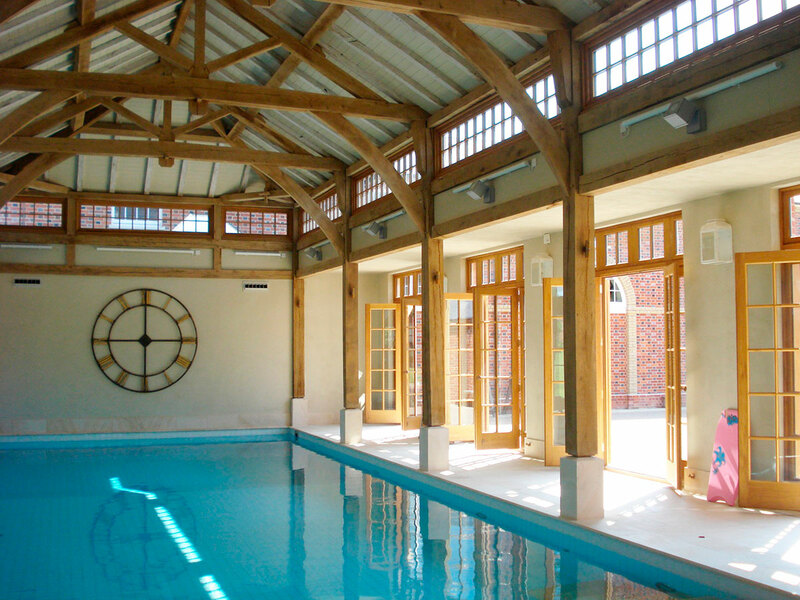 The pool building opens on one side to the Listed historic walled garden and on two sides to different aspects of the gardens and is constructed deliberately as a barn-type structure of a green oak frame within traditional brick masonry. 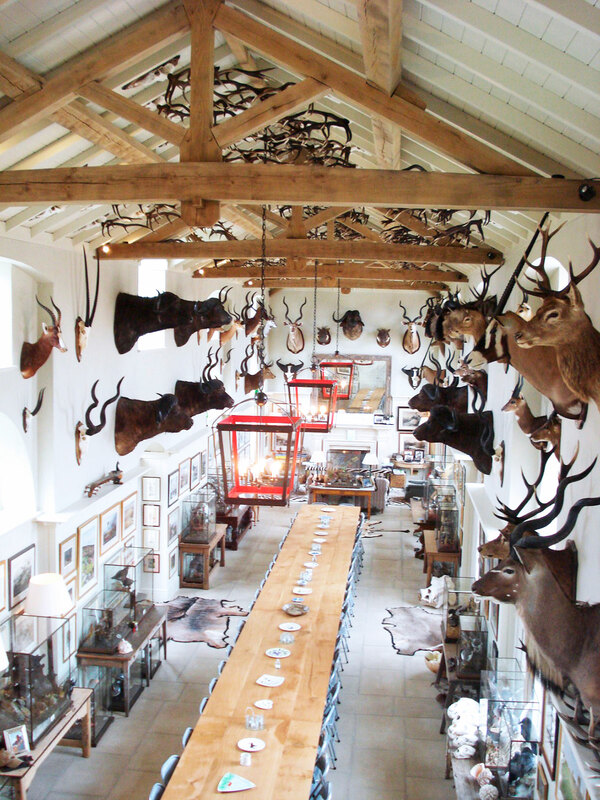 The Party Barn reinstates a missing wing to the historic group of buildings and provides a dramatic backdrop for the clients’ hunting trophies as well as seating for 50 people at one long oak table, whose oak was cut from the Park.